NAOMI CAMPBELL and actress Mia Farrow will be summoned to testify at former Liberian President Charles Taylor's war crimes trial, addressing allegations Taylor gave the supermodel an uncut diamond at a South African reception in 1997, the London-based Guardian newspaper reports. WATER CHARGES proposed by the Fianna Fáil and Green Party administration are more about forcing more taxes on the public rather than conserving water when there is huge waste at source, Sinn Féin has said. 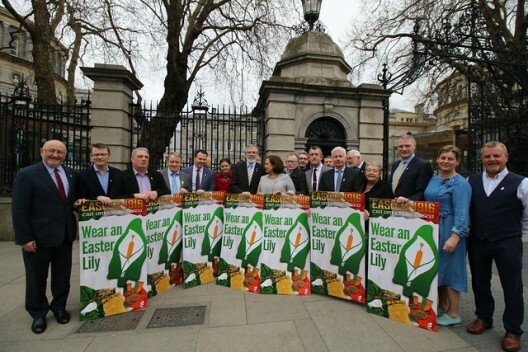 Thanks to Mary Lou McDonald of Sinn Féin for the information and the link. THE number of people on the Live Register in the 26 Counties has risen to 452,882, its highest level ever. The seasonally-adjusted Live Register figure increased from 439,100 in May to 444,900 in June, an increase of 5,800. The standardised unemployment rate in June was 13.4%, up from 13.2% in May. EUROPEAN Commissioner Máire Geoghagan-Quinn has been asked by Sinn Féin MEP Bairbre de Brún how much EU taxpayers’ cash is going to companies likely to use the results of their EU-funded research to help I srael’s war machine. THE High Court in Dublin has rejected on all counts a legal challenge on constitutional grounds by a group of electrical contractors to the Registered Employment Agreement (REA) on workers’ pay and conditions and a Labour Court ruling on the REA. A SINN FÉIN delegation led by party President Gerry Adams and including Justice spokesperson Alex Maskey and deputy First Minister Martin McGuinness met with Justice Minister David Ford on Wednesday on issues including the ongoing situation in Maghaberry Prison and a number of upcoming contentious Orange parades. CLONDALKIN Sinn Féin Councillor Matthew McDonagh has renewed his call for a significant increase in Garda resources for the Garda Drugs Squad after the double murder of two brothers in Neilstown, Dublin West, this week. They came on the same day that the Garda seized 14kg of cocaine along with two semi-automatic handguns in Terenure. THE annual Ballykissane commemoration took place in Killorglin, County Kerry, on May 29th. The opening address was given by Mairéad Ní Mhaoláin at the event in which Conn Keating, Donal Sheahan and Charlie Monaghan, the first casualties of the 1916 Rising, were commemorated.